General donations support the shelter's homeless animals and programs. Donations help support the investigation and care of animals identified as intentionally abused, injured, or neglected. Donations towards Education help support educational programs. Foster Pet Program donations support the animals in foster care. Donations support the Golden PAWS (People are Willing and Sharing) senior volunteer program. Trap-Neuter-Return (TNR) donations support the management of the feral cat population in the City of Arlington. 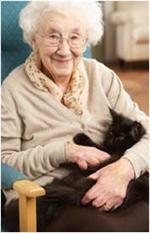 Seniors for senior animal donations support seniors.